(and this camera). In fact, it sometimes makes choosing which camera and film to use quite difficult to do... but I don't mind really. Can you believe that I'm still uploading Paris photos? I guess I can, I did take a lot and 5 posts a week doesn't seem that many when there is so much to share... these photos are some of my favourites from the week. My superheadz slim and wide has relatively no pressure, you don't have to worry about focusing or the bulb setting, it takes no time to take a photo and sometimes, that is what I want and need and I love that. 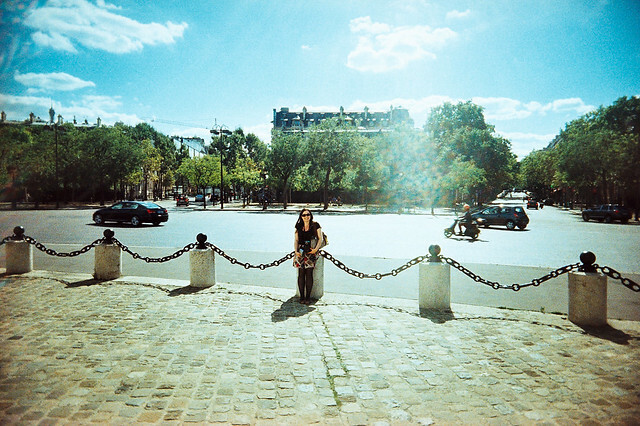 I sure do miss the Paris sunshine. You can see the whole film set here.